The Racine Raiders board of directors approved adding a fifth scholarship for Racine County high school students at their February board meeting. 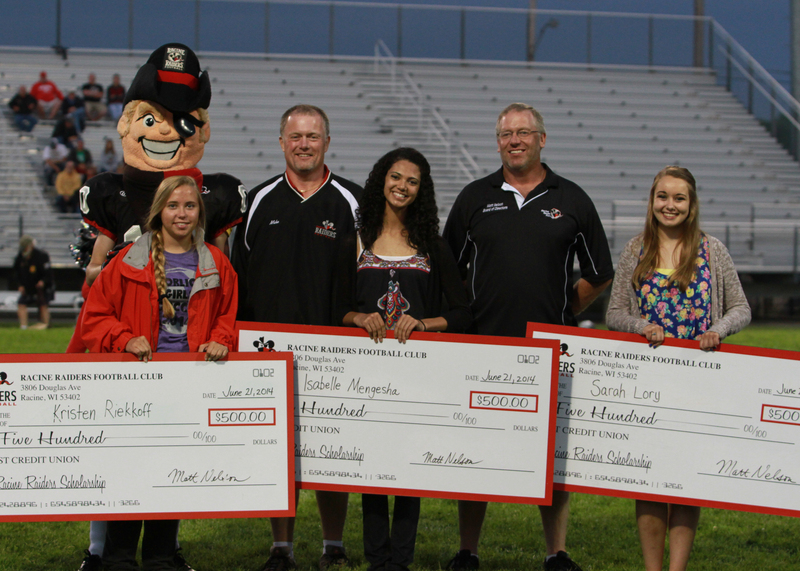 The Racine Raiders expand their commitment to helping youth from our community achieve their goals through education, athletics, and service to the community with the addition of this scholarship. The Raiders are also now accepting applications for the scholarships through March 31, 2017. The scholarships are all non-renewing, $500 awards for high school seniors attending a Racine County school and continuing their education beyond high school at either a college or technical college. To qualify, the student must have at least a 3.0 grade point average and have been involved in athletics as a player, cheerleader, coach, or manager at their school or in the community. Your goals for college or technical college, including your intended major. How your studies will apply to life after college. Your interests – both in and out of school. Your involvement in athletics – either at school or elsewhere in the community. Why you need or deserve the scholarship. Letters of application for the Racine Raiders Scholarships are being accepted at the Racine Area Manufacturers and Commerce (RAMAC), 300 5th Street, Racine, WI 53403. Deadline for applications is March 31, 2017.